I am driven to travel to dozens of countries each year, in the hope that I can make a positive difference in the global warming challenge. I am one of thousands who understand that the soil may be our only savior. We can cut all carbon emissions tomorrow morning and, in 200 years’ time, the offending CO2 excess in our atmosphere drops down to 1975 levels. Unfortunately, this is still too high and our oceans will continue to warm and acidify. So, is it all over bar the shouting? We can not make new carbon. There remains the same number of carbon atoms present on the planet since the very start of time, and they move between three storage systems. Carbon is stored in the soil as humus, in carbon-based life forms (e.g. plants, animals and humans), or in the atmosphere (as CO2 and methane). Carbon moves between these three storehouses in a phenomenon called the carbon cycle. The lion’s share of this carbon resource is stored in soil. In fact, there is almost double the amount stored in the soil as organic matter, compared to that stored in the atmosphere (1550 gigatonnes vs 800 gigatonnes). Two thirds of the carbon that was once in the soil is now in the atmosphere. Global organic matter levels have dropped from an average of 5% down to 1.5%, during decades of blind extraction with the industrial farming model. This carbon lode, which was historically soil-based, is now the primary culprit in thickening the blanket of greenhouse gases that trap the heat, warm the oceans and dramatically impact our climate. The solution is to put it back whence it came. When we build organic matter in our soils, we are effectively stepping into the carbon cycle and sequestering carbon into the soil, which would have otherwise returned to the atmosphere. You can make a compost from lawn clippings, apply a generous dose to your home garden, and observe the soil darkening with the introduction of this sweet-smelling, chocolate-coloured gift. However, when you return to that soil six months later, it has often reverted to the original colour. This active carbon produced by bacteria can oxidise and return to the atmosphere. This is not the “planet-saving” form of humus. Stable humus is created by fungi, and this form of carbon remains in our soils (and out of the atmosphere) for at least 35 years. The concerning part of this story involves our new understanding that the beneficial fungi responsible for stable carbon storage are sadly missing in our soils. We have killed them off with fungicides, herbicides, nematicides, excessive tillage, long fallow periods and acid/salt fertilisers. One group of these creatures, mycorrhizal fungi, has been decimated to the point that just 10% remain. There is a desperate need to feed our remaining fungal workforce with humates, kelp and cover crops, while introducing a new workforce that includes mycorrhizal inoculums (Nutri-Life Platform®) and fungal-dominated compost teas. 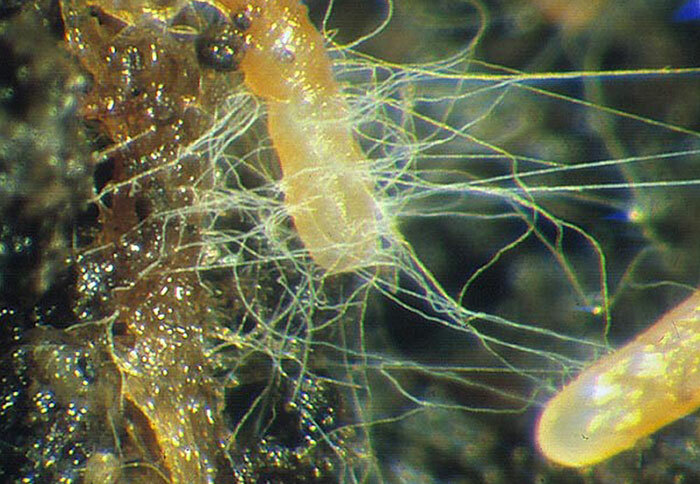 Mycorrhizal fungi release a sticky carbon-based substance called glomalin, which is responsible for 30% of all the humus in the soil. These critically important creatures can be reintroduced for less than $10 (AUD) per hectare and should be government subsidised to encourage a rapid response from all farmers. However, while global entrepreneurs like Elon Musk dream of colonising a barren, red desert called Mars, we barely understand the biological essence of a gloriously beautiful, precious jewel called planet Earth. We have identified and named 20,000 nematodes, for example, but DNA analysis reveals that more than one million different nematode species exist in that barely understood world beneath our feet. Surely we should be directing some of those billions destined for space exploration into developing a better understanding of the space that grows our food – the soil that can save us. 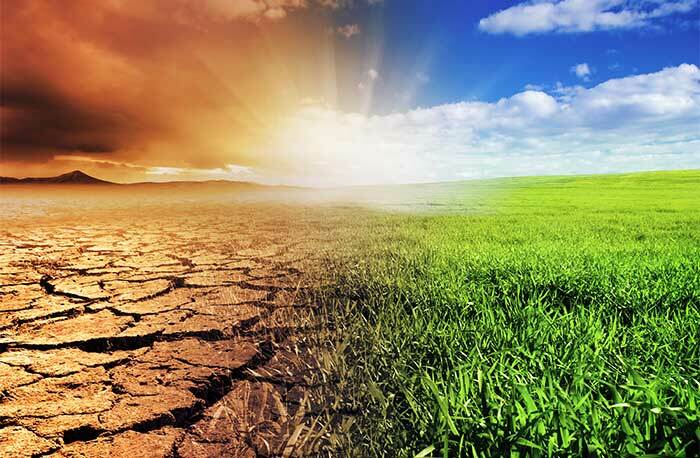 At this point, a biological soil solution is the only viable candidate to the global heating crisis. Emissions reductions can only slow the inevitable, and increases in emissions seem the more likely outcome. China has just commissioned 1600 new coal-fired power plants and they have begun work on “one belt, one road”, a trillion dollar highway project, linking 62 countries (concrete production is the second highest source of CO2 pollution). We need to band together and return carbon to the soil. We need to embrace humus building as a sacred mission. Let us look at how this might best be achieved. Don’t burn down your cover crop – a cover crop contains a rich lode of carbon, nitrogen and sulfur, but all three of these minerals will revert to their gaseous form following a herbicide burndown. This trio is desperately needed in most soils, so it is far more productive to lightly work the cover crop into the A horizon (the top few inches of your soil). Include legumes in every pasture and under every cereal crop – legumes, like clover, tend to feed the fungal component of your soil foodweb. It is this network of hyphae that bind humus and clay colloids to create the holy grail of soil health – crumb structure. These aggregated soils breathe more freely while allowing humus building maestros, like earthworms, to deliver their gifts unimpeded. The clovers under your cereal crops also deliver nitrogen, and they release acid exudates to prize apart the two most important minerals (calcium and phosphorus) for the most important of all plant processes, photosynthesis. Plant cocktail cover crops whenever you can – we now understand that the combination of five plant families in a cover crop blend sponsors a remarkable phenomenon. The plant roots begin to message each other before initiating an outpouring of phenolic compounds into the surrounding soil. Just as our body cells thrive in the presence of similar compounds from green tea and dark chocolate, the soil-life slips into hyperdrive. Soil structure changes, humus creation hastens and this cover crop boosts all of the benefits bestowed by beneficial microbes. The five plant families include grasses, cereals, brassicas, legumes and chenopods. The latter two are included as small percentages of the total blend because they release biochemicals that dissuade friendly fungi. However, they must always be part of the package to create the desired response. Discover humates – humic acid is the most powerful promoter of the beneficial, humus-building fungi that are missing in most soils. These fungi seek the long chain carbohydrates and complex compounds that are abundant in this natural substance. When suitably restored, this missing link creates the stable carbon that will stay in your soil, and out of the atmosphere, for most of your remaining lifetime. Embrace compost – compost is much more than a conglomerate of humus substances created through fast-tracking and optimising the natural process of decomposition. Compost provides vast diversity and numbers of beneficial organisms to reclaim the capacity of your soil to build humus. There can be five billion organisms in every teaspoon of compost, involving over 30,000 different species. Much of this workforce has been compromised with acid/salt fertilisers, farm chemicals and mismanagement of our soils. Compost restores these key players so that the end result, in terms of soil carbon increases becomes many times more than than the humus added in the compost. Minimise tillage – the component of our soil biology so desperately in need of nurturing does not favour the intrusion of cold steel. Tillage slices and dices beneficial fungi like the ragged claws of a brown bear, knee-deep in schooling salmon. 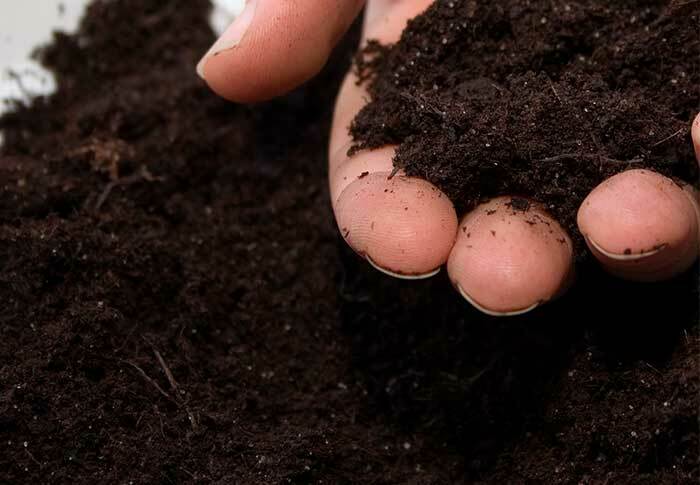 Every time we open the soil, we also introduce oxygen, which oxidises a percentage of our precious humus. If we choose to work the soil when it is wet, then that loss is magnified several fold. The major issue with no-till farming revolves around the dependance upon glyphosate. This chemical will not be with us much longer, as it may well prove to be the single most toxic substance we have ever foisted upon our farmland. It is hard to envisage glyphosate-free, no-till, but we will surely develop roller crimpers, cover crops and other alternatives to compensate for the loss. We need to set a date for the inevitable banning of this abomination and human initiative will then step up to the plate, as it has always done. Bring back your earthworms – these gut-like, segmented tubes are effectively the ‘intestines’ of the soil. They serve as part of the plant’s external stomach by digesting crop residues, producing plant food and incubating a unique group of beneficial bacteria, without which your soil life community is sadly incomplete. Most soils contain a fraction of their original earthworm population, and there is a big price to pay for this loss. Earthworms are little fertiliser factories, because the composted material emerging from their rear end differs hugely from the surrounding soil. In fact, it contains ten times more potassium, seven times more nitrogen, five times more phosphorus, three times more magnesium and 150% more calcium. The earthworm composts crop residues and other organic material four times faster than any other form of decomposition and it aerates the root zone and transports minerals from beyond the root’s reach, to boost plant growth and resilience. If you could achieve the holy grail of 25 earthworms per shovelful of soil, this squiggly workforce will produce 300 tonnes of earthworm castings per hectare per year. Earthworm compost retails for around $100 per tonne, so you have just secured $30,000 worth of free fertiliser. You have literally struck pay dirt! Enhance stubble digestion – in a truly active soil, your crop residues should become an integral part of the soil within six weeks. If they are still there months after harvest months, then you have some work to do. The sooner this stubble can be converted to humus, the better, as the residues will otherwise gradually revert to the gaseous form and we have lost a wonderful humus- building opportunity. Organisms like trichoderma (Nutri-Life Tricho-Shield™) are voracious cellulose digesters and they will multiply rapidly in the presence of crop residues. Similarly, Beneficial Anaerobic Microbes (Nutri-Life BAM™) can help digest residues, while providing many other benefits. Provide oxygen for your workforce – the single most important element for crop vigour and resilience is not N, P or K. It is the gas that grants life to microbes, plants, animals and humans – oxygen. The calcium to magnesium ratio is paramount amongst several key ratios, because it physically helps create the open structure that allows the soil to breathe. Gypsum can be an immensely valuable tool in this context, as this clay-breaker removes excess magnesium and sodium from the equation. These minerals are key players in tight, closed, unproductive soils. The Soil Care units developed by South African company, Puri-Care International, offer dramatic evidence of the restorative power of oxygen. These invaluable devices deliver multiple oxygen species to the soil via a fusion of ozone and hydrogen peroxide introduced to irrigation water. The impact is profound. Soil structure changes wherever the water moves (often creating crumbly, living soil down to 2 metres). Oxygen changes everything, including your profitability, pest pressure, productivity and farming fun. We are confronted with our greatest ever challenge, but climate change is reversible. The good news is the win/win situation linked to this endeavor. When we build humus in our soils we sequester atmospheric CO2 and thin the greenhouse blanket. We also reduce soil erosion, increase soil health, boost profitability and improve the quality and medicinal value of the food we produce. It sounds like a compelling list to inspire the adoption of humus building strategies on your farm. I wish you every success.